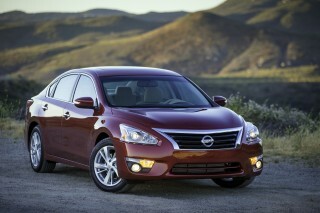 The 4-cylinder Legacy models are the way to go, because of their better mileage and bargain price. There's more power to be had from the flat-6, but it starts some $7,000 higher—and we think up in that price range you might have some other alternatives in mind. 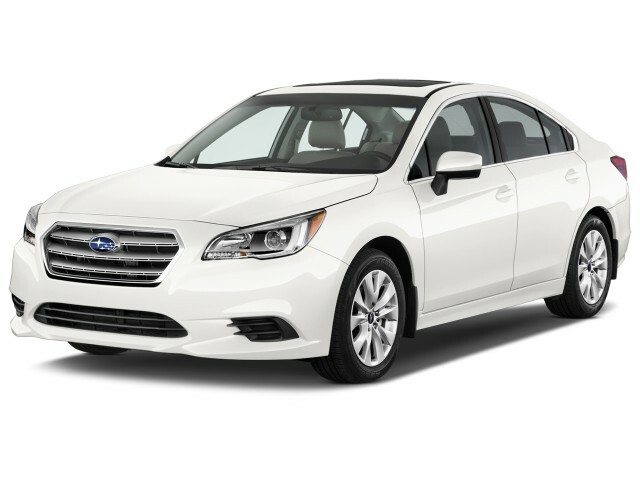 All-wheel drive for the entire lineup, a big back seat, and excellent gas mileage might be enough on their own to woo family-sedan shoppers; the 2016 Subaru Legacy has that, plus top safety, a smooth ride, and a design that fits right in. It's only a matter of time before mainstream shoppers find the 2016 Subaru Legacy in the way that they've already flocked to Subaru's Forester crossover and Outback utility wagon. The Legacy is no longer the specialty sedan it was in the past. With standard all-wheel drive, a recent full redesign, and some impressive active-safety features that don't break the bank, the 2016 Subaru Legacy adds up to quite the value, especially in its four-cylinder versions. That's part of why, this past year, we named it out our Best Car To Buy 2015. In design, the 2016 Legacy seems to manage conventionally appealing in a way that models like the Volkswagen Passat, Chrysler 200, and even Chevrolet Malibu have (at least in recent model years) been struggling with. It's nicely proportioned—perhaps a bit more blunt-nosed than it needs to be, but nice nevertheless—and has some nice detailing all around, with a more rakish, aerodynamic look that moves the mirrors behind the front pillars. Just as the exterior follows a handsome, functional median, the interior goes to a clean, space-efficient design that's dressed up with nicer materials and trims than before. You won't find Subaru's turbocharged flat-4 here; instead there are flat-4 (2.5i) models and flat-6 (3.6R) models, with the former powered by a 175-horsepower, 2.5-liter flat-4 that needs to be worked hard when more than just a driver is aboard. Yet good sound insulation means that it won't serve as a constant reminder of your frugality. Legacy 3.6R sedans come with a 256-hp 3.6-liter flat-6, which isn't as strong or responsive as we'd like. 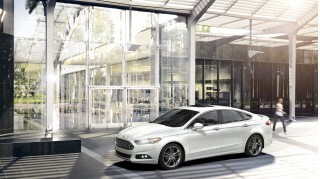 This is a smooth, graceful sedan, with a well-tuned ride and nicely weighted electric power steering. For 2016, Subaru has made some slight changes to the damping in top 3.6R Limited models. The 2016 Subaru Legacy—if you haven't been paying attention to this segment of the market for a while—measures up right in the heart of mid-size sedan territory. Just as all of its key rivals have grown, so has the Legacy; and while it made a major leap in size in 2010, the Legacy didn't become much larger with its redesign last year. Although thanks to some smarter interior design, it's noticeably roomier than its predecessor. It's all obvious from inside, where the cabin feels roomier and wider—thanks in part to seat placement and to the dash corners, which have been pushed farther out to the corners ahead. At the same time, leg room is up significantly—by several inches, compared to before. And you could probably put three adults across in back for short trips and still have a working relationship with them afterward. The Legacy's rear seat still also has 60/40-split folding rear seat backs. Once folded down, the seats expose a large cutout that expands the 15.0 cubic feet of trunk space. The Legacy has already earned top "Good" results in every category from the IIHS—and the Top Safety Pick+ award—as well as five stars in every category and subcategory of testing from the federal testers. It's one of the few models we give a perfect "10" to in Safety. One reason why we like the Legacy so much is that you can opt for the excellent EyeSight active-safety suite on all but the base 2.5i model; Subaru's sweetened that affordable package this year by adding new accident avoidance features to an already robust (and top-rated) system. The base Legacy 2.5i model comes with a rearview camera, power accessories, and cruise control. Next up is the 2.5i Premium, which adds a 10-way power driver’s seat, dual-zone climate control, and an all-weather package, as well as Bluetooth hands-free text messaging and a 7.0-inch touchscreen for the infotainment system. Limited models upgrade to leather seats, 18-inch wheels, a Harman Kardon audio system and heated rear seats, while 3.6R Limited models get stainless exhaust tips and HID headlights, too. Keyless ignition, a navigation system, and a moonroof are among the few options, in addition to EyeSight on the Premium. The infotainment system that makes its debut in the current Legacy wipes the Subaru slate clean. The new system comes at least with a pretty 6.2-inch multi-function touchscreen, one that's controlled via big tiles and icons, and has swipe and tap gesture control. It behaves a lot like GM's MyLink and IntelliLink systems, down to the ability to set favorites across any media, from Bluetooth streaming to AM to XM favorites. One other new feature in the 2016 Legacy is the introduction of Starlink Safety and Security features—including a couple of suites of services ranging from emergency and roadside assistance to things like vehicle locating and remote locking/unlocking. The flat-4 Subaru Legacy, with its EPA rating of 26 mpg city, 36 highway, 30 combined, is quite impressive. Six-cylinder models are quite a bit more thirsty, getting 20/29/23 mpg. The 2016 Subaru Legacy has a handsome profile and refined interior, although it's conservative throughout. As Subaru's flagship sedan, the Legacy speaks to the pragmatic core of the brand. It tows a middle path in design—not at all pretentious, not frilly, and not too boisterous in any way. Looking at the design of the 2016 Subaru Legacy up close, one thing we appreciate here in such a no-nonsense sedan is that this model is completely empty of meaningless design gestures, and cues that don't serve in the overarching purpose. Everything simply falls into line here, from the more sharply raked windshield to moved-back side mirrors and the mildly sculpted fenders and lower bodywork. 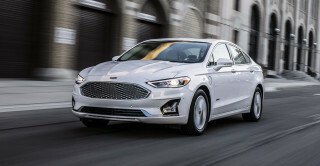 In front, the logo lies inside a six-sided grille—it's no trendsetter as you've seen it everywhere from the Hyundai Sonata to the Ford Fusion. The more blunt look of the front end, and the taller grille together work a bit better with the closely related Outback than they do in the Legacy, although it doesn't get in the way of an elegant, nicely proportioned side view. You'll have to hunt for the badges in back before you can definitively name what you're seeing. It's a little bit anonymous; though to be fair, that's the case with a half-dozen mid-size sedans. Seemingly in lockstep with the sheet metal, the cabin shifted its design toward a handsome, functional median with last year's redesign. Overall, it's a clean, easily readable design with a band of metallic or wood-grain trim that distinguishes upper-trim levels from base versions. Gauges are lit in blue, with a small LCD display wedged between the dials for a quick read of directions or audio status. The vents are stacked higher on the dash, to make room for a touchscreen interface that sits above a panel of knobs and switches rendered in old-school-Japanese metallic plastic. While we wouldn't call the materials choices in the Legacy the best in its class, it's come a long way. There are a few inexpensive bits of trim, but you have to look—really look—for them. The Legacy is beautifully balanced in terms of ride and handling, but it's merely average in acceleration. Considering Subaru's great turbocharged fours, it might have been a safe bet that Subaru would have dropped the six-cylinder engine this past year. But Subaru kept its engine lineup essentially the same. And while they're both solid choices, the four-cylinder models are the ones that we consider bargains—as well as the models that traditional, somewhat frugal-minded Subaru shoppers will be drawn to. 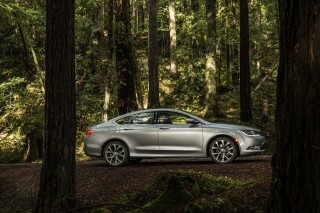 In the 2016 Legacy, the 2.5-liter flat-4 engine makes 175 horsepower and 174 pound-feet of torque. It's teamed only to a continuously variable automatic transmission (CVT) and all-wheel drive. With 256 hp and 247 lb-ft of torque, the Subaru 3.6-liter flat-6 is the step-up engine; it gets beat by some turbo fours at this point, but it's very smooth, and somehow very satisfying from behind the wheel, even though it's also now paired to a CVT. With the flat-6-equipped 3.6R models, floor the accelerator and there's a seamless sweep that comes off as maybe less dramatic than it should. The flat-6 shaves a second or so off the flat-4's acceleration times. It's not obviously fast, though it is unrestrained. As for the flat-4 (2.5i models), this combination is fine for mid-eight-second 0-60 mph acceleration; with two or more aboard, the 4-cylinder needs to be wrung out, especially up mild climbs, but extra sound deadening goes a long way to tamp out the wall of noise waiting at the other side of the gas pedal. The flat-4 makes perfect sense in a car like the Legacy, one wraps itself in a layer of predictable, clear responses. It measures out its responses, with perfectly smooth steering feel, a seamless transmission that blurs acceleration, and a suspension that snubs roughed-up roads. Like the Nissan Altima and Honda Accord, the Legacy feels more traditional than a Ford Fusion, and as "premium" as any Volvo. The flip side of the Legacy's muted responses—even with the six—is that it's tough to get it excited. The flat-4's tame responses are, granted, a part of the high-economy bargain. The 6-cylinder model takes more stoking than it should, for a few reasons—like cautious transmission programming, and a lack of torque way down low. With either setup, the Legacy gets a set of steering-wheel paddle shifters and six programmed points on its infinite ratio curve. You'd call them "gears" in a conventional automatic or manual, but CVTs use belts and pulleys instead. The paddles can pull more emotion out of either engine, though it takes more than a click or two down before things get interesting. Unlike other applications, there's no SI-Drive setup in the Legacy—no more aggressive throttle or steering programs, no eight-point shift pattern. There's room here for an easy upgrade—and it still might come in the form of a GT. The 2016 Subaru Legacy offers a nice compromise in the feel of its electric power steering. There's not excessive weight on center, yet it increases weight nicely off-center; the result is a car that tracks well, drives easy, and unwinds smartly from tight corners. This year Subaru has made a few additional tweaks to top-of-the-line Limited models (their damping, most notably); let's hope they didn't mess too much with a good thing. Overall, it just flows with the same ease as the compliant ride. The Legacy is settled, but also absorbent—not squishy and listless like a base Camry, not quite firm like the Ford Fusion. Between the all-wheel-drive's new torque-vectoring feature—it can shift power front to back, and use the brakes on an inside wheel to tighten a cornering line—the Legacy's default mode is calm, cool and collected. It skims gracefully around winding roads without any of the traction-control drama that's obvious in some overpowered front-drivers. There's excellent space for five in the Legacy, plus a quiet, refined feel inside that's been missing from Legacys past. The 2016 Subaru Legacy, if you haven't been paying attention to this segment of the market for a while, measures up right in the heart of mid-size sedan territory. Just as all of its key rivals have grown, so has the Legacy; and while it made a major leap in size in 2010, the Legacy didn't become much larger with its redesign last year. Although thanks to some smarter interior design, it's noticeably roomier than its predecessor. It's the biggest and roomiest sedan the brand has ever offered, Subaru says, and also promises the biggest cabin in the family-sedan segment. By the numbers, the 2015 Legacy is 188.8 inches in overall length, and it rides on a 108.3-inch wheelbase. That's a couple of inches wider than before, with 1.6 inches more in wheelbase. It's all obvious from inside, where the cabin feels roomier and wider—thanks in part to seat placement and to the dash corners, which have been pushed farther out to the corners ahead. At the same time, leg room is up significantly—by several inches, compared to before. The console that divides the front seats has a big pair of cupholders and a shallow, covered bin that holds a power point and two USB ports—aside from the console bin, deep enough to hold an iPad. 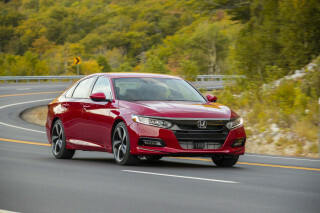 In this class, the Honda Accord is closest to the Legacy's specs, with an inch more wheelbase and a zero-sum gain in front and rear legroom. 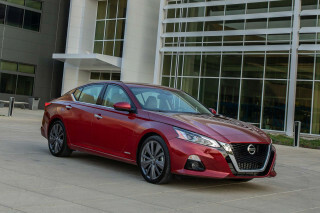 The Nissan Altima is a bit smaller, and while the Chevy Malibu doesn't seem so small, it's down in every critical measure against the Legacy. And unlike the base Accord, the Legacy's rear seat still has 60/40-split folding rear seat backs. Once folded down, the seats expose a large cutout that expands the 15 cubic feet of trunk space. The trunklid itself is nicely squared and cut widely, so loading wider objects should be a snap. The Legacy has 119.6 cubic feet of passenger and trunk space, which slides in just beneath the feds' 120-cubic-foot definition of a "large" car. And as a result, curb weight is up to about 3,500 pounds in base trim or 3,700 pounds in flat-6 guise. It's riding just a bit more like a big car than before, although in most ways the weight is well-masked. Top Safety Pick+, perfect five-star NHTSA ratings, and a top-rated active-safety system: It's all here. The 2016 Subaru Legacy is one of the best-rated sedans for safety—and that extends up to luxury cars, which says a lot in itself. Subaru's EyeSight active-safety suite, which has been expanded for 2016, rivals what’s offered in luxury cars with several times the sticker price. And with the latest Legacy, Subaru claims to have raised the occupant-safety bar. That's already proven true, with top "Good" results in every category from the IIHS—with the the Top Safety Pick+ award—as well as nothing but top five-star results from federal safety officials. The 2016 Legacy includes all-wheel drive and a rearview camera, and it can be configured with a bundle of the latest active-safety technology like blind-spot monitors, lane-departure warnings, and rear cross-traffic alerts. Specifically, this past year the Legacy introduced the latest version of its EyeSight driver-assistance system. It has smaller, better cameras that are better able to handle glare, have 40 percent better detection range, and can now recognize brake lights ahead in traffic. Subaru also says its system will be less expensive to repair after an accident—since the cameras are mounted inside the windshield, they're protected better from impacts. The top value of the lineup is the Legacy Premium 4-cylinder model, as it can be optioned with EyeSight for around $26,000, and that now includes adaptive cruise control, forward collision warning with automatic emergency braking, lane-departure warning and lane-keep assist. Limited trims also have blind-spot monitoring and rear cross-traffic alert, two features that are included with EyeSight otherwise. One other new feature in the 2016 Legacy is the introduction of Starlink Safety and Security telematic features. With a Safety Plus subscription, the car will notify emergency services in a crash, plus automatic collision notification and maintenance notifications. By adding the Security Plus Package, you get stolen vehicle recovery, a vehicle locator, and remote locking and unlocking. The Legacy also comes standard with airbags in the front of the bottom seat cushion, to help prevent submarining in an accident. And we really appreciate the Legacy's excellent visibility; its stiff body structure is delivered with slimmer roof pillars, a boon to rearward visibility. The safety thoughtfulness goes as far as a feature we never knew existed on any Subaru. Far better infotainment systems and standard all-wheel drive make the more affordable models in the lineup quite the value. The 2016 Subaru Legacy goes up against one of the best (and best-updated) sets of family sedans. The base Legacy 2.5i model comes with a rearview camera, power accessories, and cruise control. Next up is the 2.5i Premium, which adds a 10-way power driver’s seat, dual-zone climate control, and an all-weather package, as well as Bluetooth hands-free text messaging and a 7.0-inch touchscreen for the infotainment system. The Legacy 2.5i Limited is the top-of-the-line model, and it upgrades to leather seats, 18-inch wheels, a Harman Kardon audio system and heated rear seats. At the top of the range, the 6-cylinder Legacy 3.6R Limited starts at $30,740. It comes with the 2.5i Limited's gear, as well as stainless exhaust tips and HID headlights. There are a handful of options, too, ranging from $1,195 for the Moonroof Package up to $2,990 for a package that adds moonroof, navigation, keyless ignition and Subaru’s EyeSight collision avoidance system. Although some of those rivals offer all-wheel drive as an option, it's worth keeping in mind that all Legacy models include it. Based on the way the Legacy is priced, that makes it very attractive in a value sense, especially in its less-expensive forms—as all-wheel drive is often available only on premium variants of rival models. The infotainment system that makes its debut in the current Legacy wipes the Subaru slate clean. The new system comes at least with a pretty 6.2-inch touchscreen, one that's controlled via big tiles and icons, and has swipe and tap gesture control. It behaves a lot like GM's MyLink and IntelliLink systems, down to the ability to set favorites across any media, from Bluetooth streaming to AM and XM favorites. The stock system also includes an iPod/USB port, HD radio, an auxiliary input, Bluetooth hands-free calling and audio streaming, and integration for Pandora and Aha streaming services. Upgraded systems and those with navigation have two USB ports and voice-command recognition with a good grasp of natural language. Depending on which system you get, there's a separate configurable display (up to five inches across) as part of the gauge cluster, too. A car-mounted touchpad lets drivers set a code that allows the keys to be left in the car. If you're off chasing waterfalls or mudrunning, you can leave the fob behind in the car, and just tap the code for re-entry. 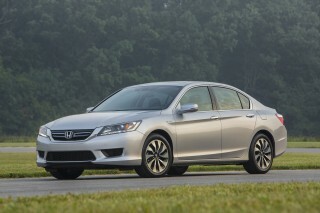 There's no hybrid, but a combined 30 mpg EPA rating makes the 4-cylinder models quite respectable. The 2016 Subaru Legacy is, surprisingly, one of the most fuel-efficient mid-size sedans with all-wheel drive. However, there are no hybrids or diesel models available in the U.S. The flat-4 Subaru Legacy, with its EPA rating of 26 mpg city, 36 highway, 30 combined, is quite impressive. Helping the 4-cylinder Legacy earn those excellent ratings are active grille shutters, which close to smooth airflow at higher speeds, and a weight-saving aluminum hood. Six-cylinder models are quite a bit more thirsty, getting 20/29/23 mpg. The Legacy's 26 mpg city and 36 highway marks are slightly below the best front-drive vehicles in the segment, the Nissan Altima and Honda Accord sedans. Fifth Subaru, still no problems on my 2 year old 2016 legacy..
Like the fact that it is not flashy. I read reports that it is underpowered and too much cabin noise. I disagree and find it to be as quiet as any other car in its class and a more comfortable ride. Drove... Like the fact that it is not flashy. I read reports that it is underpowered and too much cabin noise. I disagree and find it to be as quiet as any other car in its class and a more comfortable ride. We've had our '16 Legacy Premium about six weeks now, and are still impressed with the quality, features , and value. Our '04 Outback, which we still have, continues to soldier on, as it has become my work... We've had our '16 Legacy Premium about six weeks now, and are still impressed with the quality, features , and value. Our '04 Outback, which we still have, continues to soldier on, as it has become my work vehicle. It's full of my electrician tools, and gets dragged into muddy construction sites. The new Legacy, however, goes to work with my wife, and resides in the garage when at home. The amazing part, however, is that the new car, light years ahead in features, performance, and MPGs, was actually a few bucks CHEAPER than our Outback was twelve years ago! How did they do that? Once we figure out all the technology and infotainment, we can enjoy the car even more! State of the art safety features makes this car desirable for senior drivers.